Flames engulf a truck on Route 6 at Seminary Hill Road in Carmel. 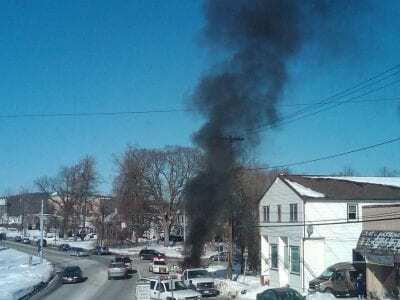 A mid-day truck fire in Carmel snarled traffic along the hamlet’s main thoroughfare for over an hour. Last week’s incident was reported around 1pm, when a service truck own… Please login below or purchase a subscription to the Putnam County Courier to access this content. On Monday, the Carmel Republican Committee unanimously approved a motion to request that the Carmel Town Board fill the seat that was vacated by Anthony DiCarlo when he left for the county legislature. The committee also decided to request that the … Please login below or purchase a subscription to the Putnam County Courier to access this content. 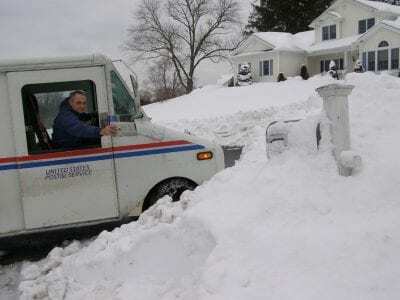 Postal carrier Larry Messina can’t reach far enough to deliver the mail due to excessive snow. The winter of 2011 has been the most difficult in years with its weekly snowstorms. Traffic delays have become commonplace because of treacherous roa… Please login below or purchase a subscription to the Putnam County Courier to access this content. Despite the weather challenges, several great business events took place in the past few weeks, bringing hundreds of entrepreneurs together to celebrate the abundant opportunities for growth in our part of the Hudson Valley. Earlier this mont… Please login below or purchase a subscription to the Putnam County Courier to access this content. County Executive Paul Eldridge has vetoed legislation approved by the Putnam Legislature at its year-end meeting in December limiting county lawmakers to four consecutive terms. 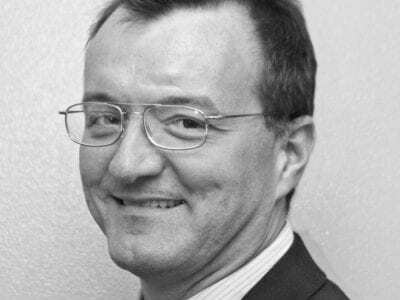 In his veto message, Eldridge said his rejection of the law was not rel… Please login below or purchase a subscription to the Putnam County Courier to access this content. Who Will Run in Southeast? It appears that three Southeast politicians are interested in running for town supervisor in November. Supervisor Michael Rights has yet to indicate whether or not he’ll be running for reelection after his term ends at the end of this year but… Please login below or purchase a subscription to the Putnam County Courier to access this content. Just one month after the appointment of interim leader Paul Eldridge, the race for Putnam County executive has started once again. On Sunday, at the Tavern at Highlands Country Club in Garrison, former legislator Mary Ellen Odell announced her campa… Please login below or purchase a subscription to the Putnam County Courier to access this content. On January 30 Carmel Troop 1 Boy Scouts and Carmel Pack 1 Cub Scouts attended “Scout Sunday” at Drew United Methodist Church in Carmel. 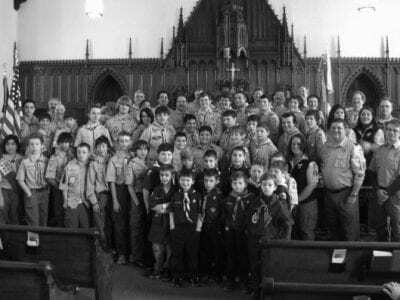 The Boy Scouts presented Reverend Karen Burger with a portable defibrillator, along with an offer for … Please login below or purchase a subscription to the Putnam County Courier to access this content.